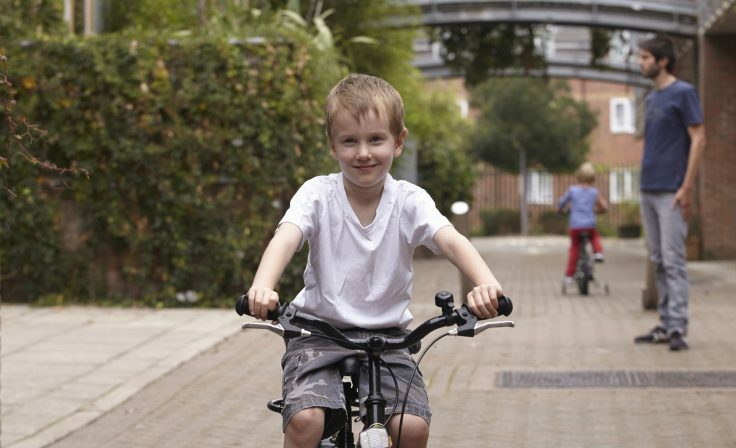 NW Bicester eco-town is a 6,000-home extension to the market town of Bicester, with highly sustainable, true zero-carbon homes plus workplaces, schools, community facilities and abundant green space. It is the only development to be built to the original high sustainability standards outlined in the UK’s official government Eco Towns Planning Policy Statement (PPS) 2009. The policy was scrapped in 2015. 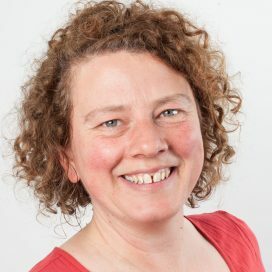 Bioregional got involved with the eco-town process in 2008 when our CEO Sue Riddlestone OBE sat on its advisory panel, helping to define the standards for the PPS. 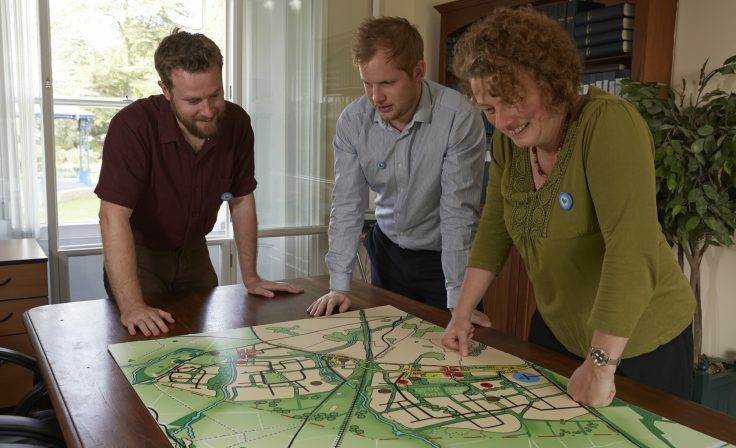 Following this work , Bioregional started working with NW Bicester’s lead developer A2Dominion and the planning authority, Cherwell District Council to help deliver the eco-town. Working across the traditional planning divide, we took a collaborative approach to understanding the PPS standards and developing the strategies to deliver them. We provided advice on energy, waste, water, landscape, transport, green space and nature, and employment strategies. We have also helped deliver sustainability benefits across the wider town by working with the local authority and other organisations through the Eco-Bicester initiative. What makes a One Planet Community? 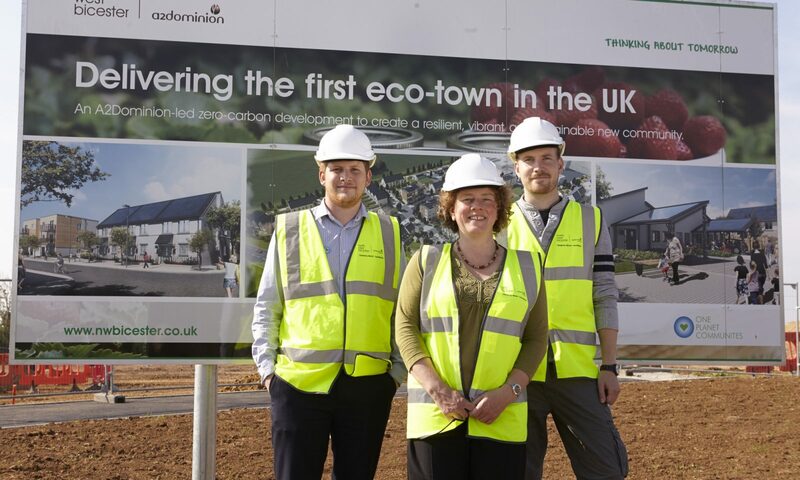 Elmsbrook is the first phase of the eco-town, a 393-home One Planet Community. 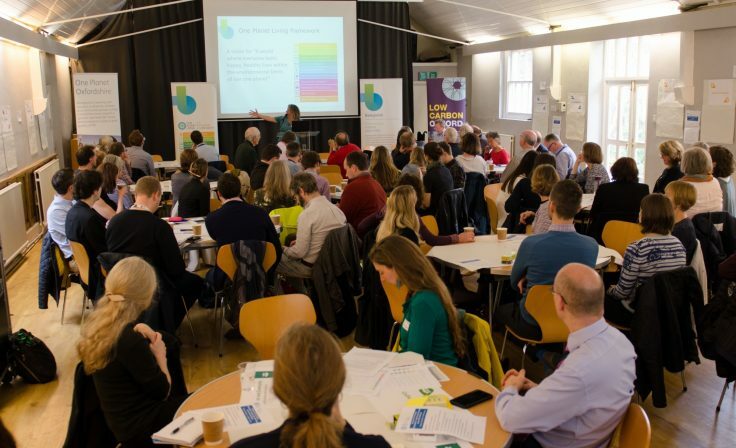 Bioregional helped A2Dominion to prepare an ambitious sustainability action plan using the One Planet Living framework. This action plan was then endorsed by Bioregional in 2012. Construction of Elmsbrook began in the spring of 2014, with the first residents moving in mid-2016. With a local office nearby in Bicester, Bioregional Oxfordshire worked with A2Dominion during the first phase to ensure it fulfils its sustainability promises. The 393-home One Planet Community includes a primary school, community centre, an eco-business centre and local neighbourhood shops, creating a village feel. All homes are built to Code for Sustainable Homes Level 5 incorporating triple glazing, rainwater harvesting and water recycling. Electricity is generated from PV solar panels on every home (34 square metres per property on average) which, when complete, will make this the UK’s largest residential solar array. Heat and hot water come from the community’s own combined heat and power plant. The ambition is to eventually use waste heat from the existing Ardley energy-from-waste facility nearby. With cycle and pedestrian routes, a bus stop within 400 metres of every home, live timetable updates in each home, charging points for electric vehicles and an electric car club, residents are being encouraged to adopt sustainable modes of travel. Our work with NW Bicester led directly to the development of a toolkit, known as BEPIT, which is proven to help housebuilders manage risk and improve the build quality of new-build developments. Bioregional led a £1.3 million, four-year research project, on the first phase of NW Bicester, to radically narrow the performance gap between the energy and carbon savings that new housing promises and what is actually achieved. This project, funded by the UK government agency Innovate UK, also aimed to reduce the cost premium for new homes meeting very high sustainability standards. Based in this real-life research and learning, the BEPIT toolkit can you help you build better homes. Like communities everywhere, NW Bicester will have to cope with a changing climate. Funded by Innovate UK and working with the Oxford Institute for Sustainable Development, Farrells and PRP Architects, we’ve shown how the super-insulated, well-sealed homes at NW Bicester will avoid overheating in the hotter summers and longer, more frequent heatwaves that are coming. Shading from trees and appropriate orientation will also be used to keep homes cool. As a result of this work, a planning condition set by Cherwell District Council will require all homes in the One Planet Community to be designed to adapt to forecast climate change. Lower bills: Residents saved an average of £400 on electricity and heating and hot water bills compared to their Bicester neighbours.